Revolutionise your business processes with managed services and benefit from peace of mind, reduced costs and increased efficiency, leaving you with more time to focus on developing your business. From a single point of contact, we can pro-actively manage all your business communications needs, helping you to plan for future growth and changes and ensuring that costs remain competitive. By outsourcing service management, you gain ultimate peace of mind and create a professional image for your business, building customer trust and confidence. Members of your team are able to focus on business centred activities to stay ahead of the competition and attract and retain customers. Essentially, we run your business communications as a service, but you retain complete control over access and usage of applications. Our services include the set-up and running of your communication systems, infrastructure and connectivity, ensuring that everything is running efficiently and securely. We have broad experience in successfully delivering projects with a range of sizes over a multitude of technologies. This includes deciding time scales, risk analysis, contingency planning, resource management and detailed reporting. In the event of a system failure, associated downtime can leave customers unable to communicate with you and team members unable to complete tasks. Our team will conduct round the clock monitoring of all applications and usage, so any unusual event will be picked up and appropriate action taken. 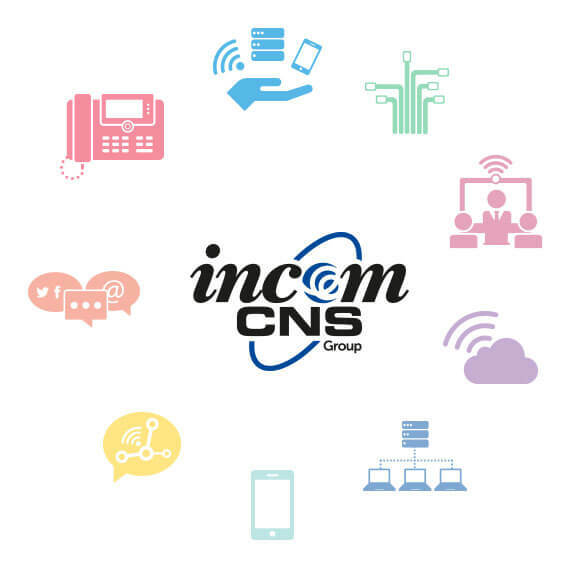 Throughout our relationship, I have found Incom-CNS staff to be very helpful and professional. All issues or queries are dealt with in a timely and effective manner and I would not hesitate to recommend Incom-CNS to other companies.